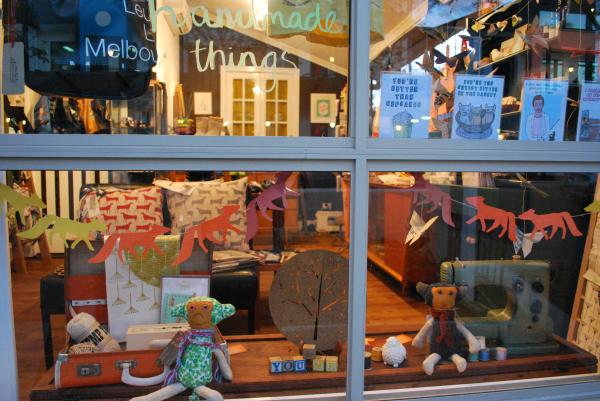 Tell us about your store Nook and what things we can expect to discover. 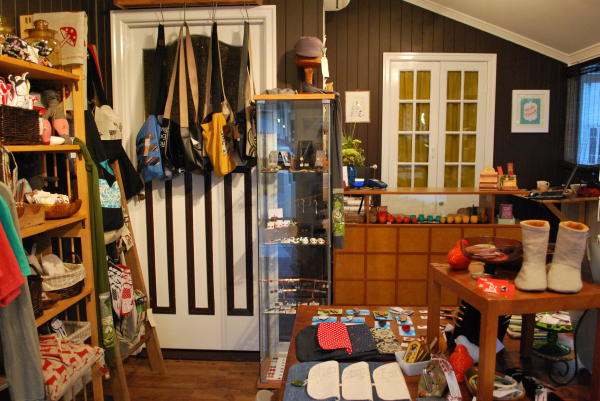 Nook is an eclectic mix of independently designed and hand crafted creations from both local and overseas artists. Expect to discover a unique selection of homewares, accessories & stationary. We have journals crafted from recycled books, jewellery created from recycled skate board decks, rubber stamp sets, wallets constructed from bicycle tyres and tennis racquet covers, and more brooches than you can poke a stick at. What independent designers do you stock and what product do you love? 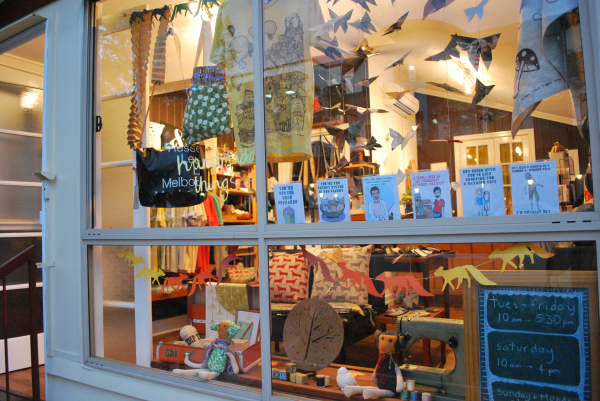 The local labels that I love and carry are Hot Toffee, Little Jane St. and Paper Boat Press just to name a few. Interstate folk include That Vintage, Pirdy, Pocket Carnival, Rebound, and a bunch of others too numerous to list. From the U.S. Wunderlust, Yellow Owl Workshop and Yee Haw Industries. It not easy choosing a favourite but I’m really excited about the Yellow Owl Workshop rubber stamp sets and States of Nature doily brooches. I can’t get enough of brooches. What was the inspiration with opening Nook? I am constantly inspired by the growing craft community in Brisbane. One year ago I joined a small craft group called BrisStyle. We started with around 10 members and one year on its closer to one hundred. Last year also saw the first issue of Brisbane based enviro/fashion magazine Peppermint hit the shelves. There are so many new and exciting things happening around the place yet I felt there was still a lack of retail outlets that specialised in handmade. 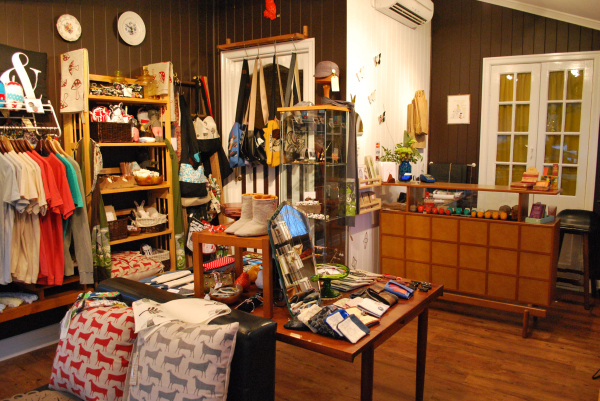 Opening a little shop of handmade and indie goods had been a dream for some time and with a combination of things all falling into place at the right time Nook was born. You just opened your doors, how has the reaction been so far? I’m into my fifth week now. The reactions so far have been of curiosity, surprise and excitement. I enjoy watching customers’ reactions to the crocheted key cosies and Abel & Game greeting cards. I already have a loyal blog following too. I’ve formed some great relationships with my suppliers who seem just as excited as me to be a part of Nook. It’s very encouraging. What is the story behind the name ‘Nook’? I’ve always been a little excited by the idea of nooks as small sheltered places you can retreat to. For me, a nook is an undiscovered, mysterious yet inviting, tucked away place with treasures abound. As this was exactly what I envisioned for a handmade shop and the store is a little off the street behind a garden, it seemed an obvious choice. I also just like the way Nook sounds. Why do you think your store is an important addition to Brisbane? Brisbane has bred some terrific artists and designers but many are lured away by bigger, more established art communities and job opportunities. I like to think that my store might play a role in providing another outlet for Brisbane artists and designers to display their creations and help to strengthen our own unique indie scene. 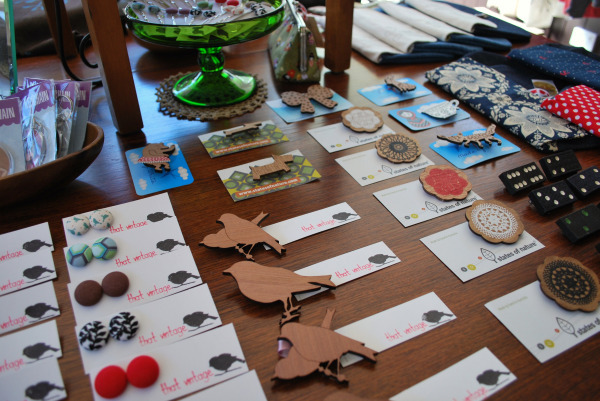 Additionally, I hope the store promotes independent design and handmade to the wider community. I opened an Etsy (online) store around 2 years ago which I maintained on a full time basis for one year with assistance from NEIS (National Enterprise Incentive Scheme). During this time I formed valuable relationships with shop owners and designers and learnt the importance of good relationships in running a successful, healthy business. There was lots of information shared and lessons learnt. I’ve spent hours pouring over blogs and online stores over the past couple of years. My head was bursting with ideas and designers I wanted to stock so when it came time to plan what I would stock at Nook, it wasn’t too difficult. Funnily enough not the sunshine. The heat can really test your loyalties, although I do enjoy the storms summer brings. It’s a very laid back city. The people are friendly & approachable and the dress standards are unashamedly casual. There are not always a myriad of options for a Saturday night here in Brisvegas so sometimes you have to make your own fun but I kind of like it that way. You have to be inventive. Also, as I mentioned before the craft movement here is on the rise which makes this a pretty exciting place to be right now. Everyone’s enthused and the opportunities are endless. What inspires you both with your store and personally speaking? I’m inspired by so many things. I’m lucky to be surrounded by creative and supportive friends and family for starters. Venturing to other cities such as Kyoto and Melbourne bring me fresh ideas, inspiration and a different perspective on what it is I’m doing at the time. And of course reading blogs, visiting markets and being a part of the BrisStyle collective are a constant source. I’m also inspired somewhat by things that are missing from my life. That lack of something can make you want to try harder to fill that gap. 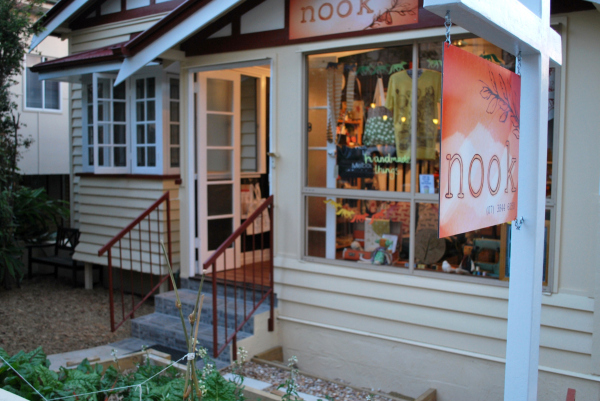 Nook, 19 Browning St, West End Qld 4101. 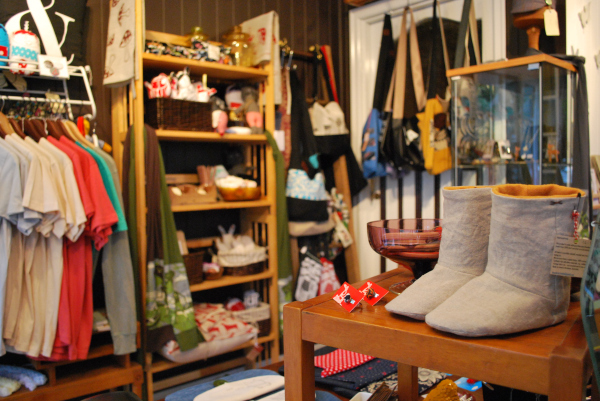 10 – 5:30 (Tues – Fri) 10 – 4 (Sat) Closed Sun & Mon. This shop is so cute, wish I could visit! Congratulations Michelle! 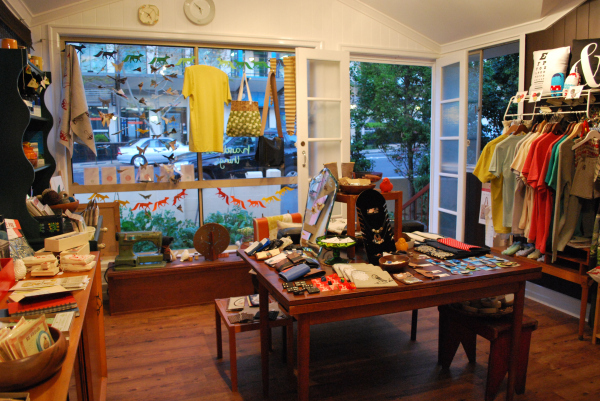 We love having Nook here in Bris Town and I’m so excited to see you stocking so many local designers.